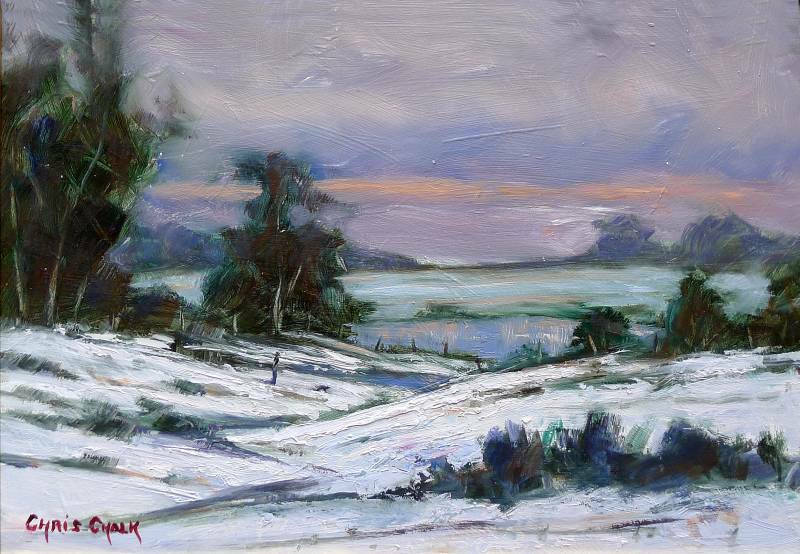 Painted largely using a palette knife, this is a loose impressionistic winters painting that's full of interest. Look closely and you'll see a figure and dog, heading off exploring together. 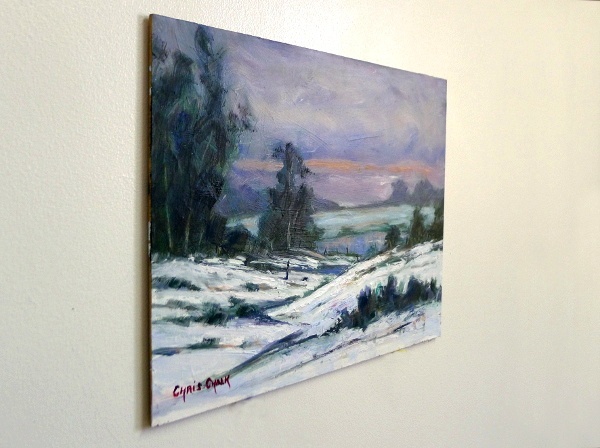 Oil on board MDF 16" by 11.5"
Painted on MDF board, 16 inch x 11 1/2 inch x 1/4 inch - This painting is best framed, but can be hung un-framed as shown.